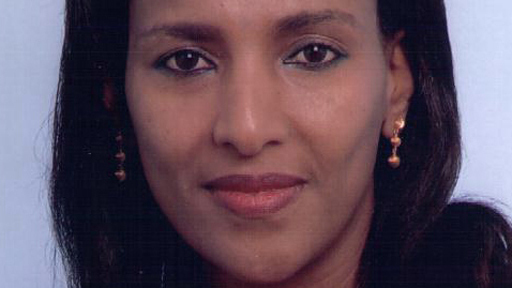 This year's Human Rights Award of the pro-asylum Foundation goes to the Eritrean Gergishu Yohannes. Since her brother's crash off the coast of Italy, she is committed to justice and the memory of the victims. Yohannes' brother is probably died during the crossing to Italy in 2009. The boat had come with 76 other refugees on board in distress and driven 23 days the Strait of Sicily. Here are most of the refugees died of thirst or died of exhaustion, says the winner. Survivors reported that daily several ships had driven past them without help. Also the Italian and Maltese coast guard should have known the location of the boat. The death of the refugees have been taken as a warning to other refugees . here is the accusation of Gergishu Yohannes. The winner has mobilized the families and friends of the victims and 1,300 out of them in a community of interest together, explains Per asylum. With the powers of the members Yohannes had sued the Italian state for failure to assist in death in 77 cases. "The leaders who have not saved, must be brought to justice." Calls Yohannes. More than 2,000 boat people came to be in 2011 in the Mediterranean killed. "Europe cuts herself off systematically"
Entitled needy asylum which would get no chance to get to Europe, complained Yohannes. Instead of speaking from overburdened Europe, should the unilateral economic relations with the developing countries and the reasons for the exodus of people from those countries will be discussed, she asks. Show their commitment to the public that "the victims of this fatal refugee policies are not nameless," said Pro asylum. Today, he lives the 47-year-old, who has fled to Germany as a minor, in St. Augustin near Bonn.